Hennadiy Tsypkalov was arrested by militants for a "coup attempt". Hennadiy Tsypkalov, an adviser to the leader of the self-proclaimed separatist Luhansk people's republic (LPR), Hennadiy Tsypkalov, has been found dead in a detention facility where he was put by militants who arrested him earlier over a "coup attempt". According to the separatist news website Lugansk Information Centre, he appears to have hanged himself. 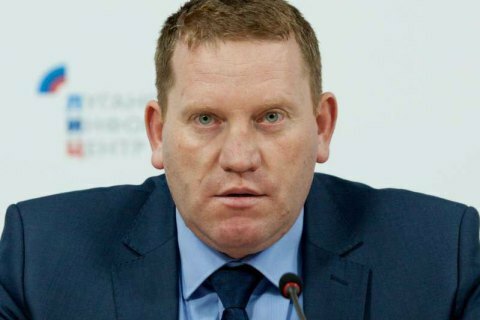 A representative of the LPR "prosecutor's office", Serhiy Rakhno, Tsypkalov was to be interviewed this morning within the framework of the "coup attempt" case. "Investigation has identified a tentative group of people who during repeat meetings in 2014-2016 agreed to implement a scenario to topple, including through physical liquidation, the republic's leadership represented by the republic's head," Rakhno said. He added that Tsypkalov was supposed to be confronted with the second person detained in the case but committed suicide "having recognized the depth of his crimes". According to Rakhno, there is reliable information that a former chairman of the LPR "people's council" , Oleksiy Karyakin, may be involved in the case. Plotnytskyy's parents got poisoned with mushrooms in the village of Podgornoe, near Russia's Voronezh. They were first rushed to a local hospital and then to Moscow. Despite doctors' efforts, the elderly couple died several days later.